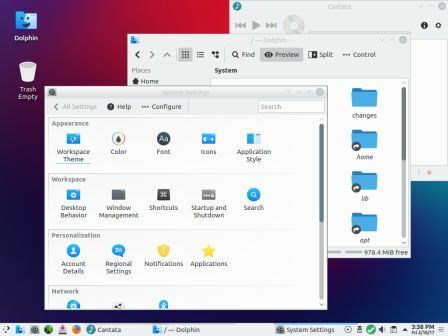 PCLinuxOS launched PCLinuxOS64 KDE5 2017.06 Desktop with latest plasma 5.10.2 (size nearly 1.4GB) with new features across the suite to give users an experience which lives up to our tagline: simple by default, powerful when needed. PCLinuxOS is a user-friendly RPM based Linux distribution with out-of-the-box support for many popular graphics(Like NVIDIA…) and sound cards, as well as other peripheral devices. all kind of drivers/applications to deal with any kind of external hardware like cell-phones, scanner, printer, webcam, TV, Bluetooth, IPod, radio, etc. Special device – pendrive – /dev/sdX – without any number.